Can't pay the IRS in full? Received an IRS Audit letter? Consult with us along with your IRS tax notification letter and we will diligently handle all the paperwork.Our tax professionals have over 25 years of experience handling IRS tax audits. Our professional and experienced team of Certified Public Accountants and Tax Attorneys have helped numerous individuals and businesses resolve tax problems with the Internal Revenue Service (IRS). 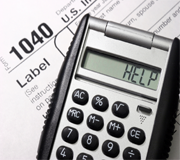 With over a decade of industry experience, we can guarantee solutions to IRS tax issues. Whether it's Back Taxes, IRS Audit or you simply owe the IRS $10,000 or more, We can help considerably.